Apple has once again reclaimed the title of most valuable publicly traded company marking the first time the Cupertino company has held that title since December. 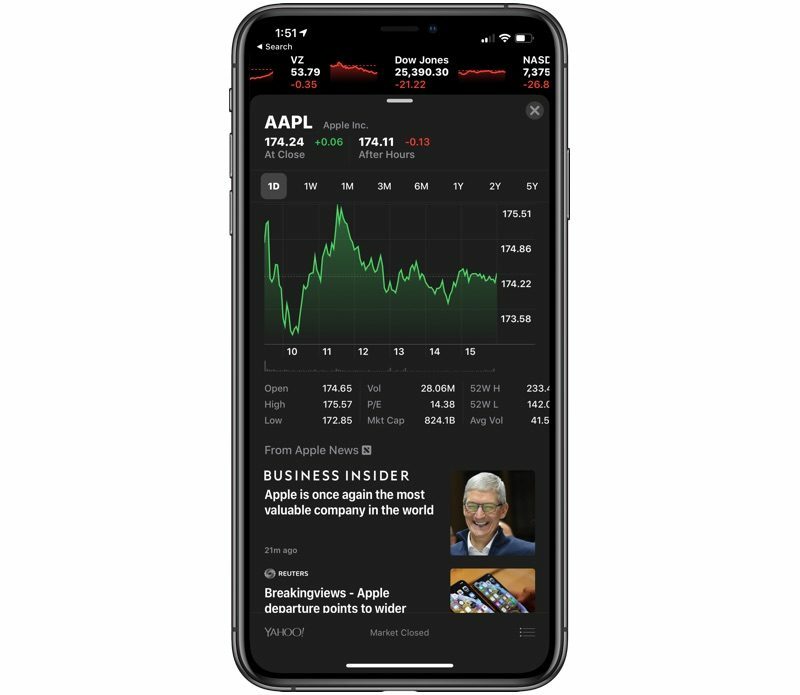 As noted by CNBC, Apple surpassed Microsoft and Amazon this afternoon with a closing price of $174.24, for a market capitalization of $821.59 billion. That beats out Microsoft's market value of $813.48 billion and Amazon's market value of $805.70 billion. Earlier this week, Apple also briefly surpassed the other two companies, and the top title has been shifting back and forth for months now. Apple saw a significant drop in market value in January after lowering its revenue guidance for the first fiscal quarter of 2019 to $84 billion, down from $89 to $93 billion. Apple's stock has recovered somewhat since its earnings release on January 29 where it reported revenue of $84.31 billion and net quarterly profit of $19.965 billion, or $4.18 per diluted share. It was Apple's second best quarter ever in terms of revenue and profit, despite the fact that it ultimately ended up being lower than expected due to flagging iPhone sales. This can’t be true. The people who post here assured us that Tim Cook’s greed guaranteed Apple’s collapse, and that this was the beginning. want more money for it. I must own different “everything they have created lately” devices than you because none of them have any issues. People here aren't gonna like this at all. * no new innovative product in the pipeline: the self-driving car project was a bust, AR will rely on gimmicky controls on your iPhone/iPad preventing long use sessions because of how goofy you look when using it. Thus preventing mass adoption. So overall, I just don't see how Apple can keep posting record profits every 4th quarter as they have been for the last 10 years going forward. Consider me skeptical, but just being honest here from what I can see as an armchair enthusiast analyst. Sounds like the same song that has been sung by analysts since the iPod. They miss what Apple really is. They are an affordable luxury company. While others chase market share, Apple takes over the top end with usable features that others can’t match for years even though they may have released a subpar version years earlier. Like TouchID and FaceID. By ensuring they are profitable on each sale they only need a small percentage of the full market. Also, by being the status mark of success, those who buy the cheaper items aspire to be able to step up. If what they are making does not work for you then you should look elsewhere. Sure the smartphone market is mature, but the smartwatch market is still in its infancy. How was the self driving car project a bust? They haven't even announced anything about it. AR in its current form is next to useless. Once they can make the technology small enough to fit in glasses it could be huge. Also, their services division continues to grow. Not that it really matters, the top 4 have been all over the place and switching lately.